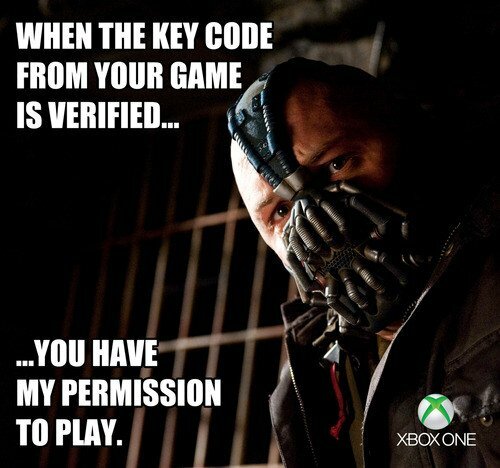 You know for a year leading up to the reveal of the Xbox One everyone was afraid of one thing: The DRM. The only thing gamers wanted clarified was that the leaks were wrong, the dev kit information was false and that the hackers messed up. When the May 21st reveal came, Microsoft embraced DRM like Anakin embraced the darkside and gamers got pissed (and rightfully so). 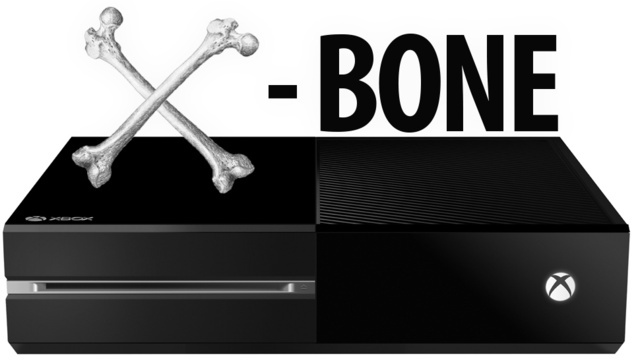 Gamers deemed the Xbox One the “Xbone” because it represented a product from a big, greedy corporation trying to “bone” its customers. It was anti-consumer 100% through and through. Well, Microsoft's frontman for PR, Larry “Major Nelson” Hryb, doesn't like the moniker and feels that “Xbone” is disrespectful to the Xbox One and the Xbox brand. I don’t like it…it disrespects the teams that have put in thousands of hours (already) into the development of the product. Sure, it’s cheeky but I don’t care for it myself. What's wrong with the Xbone, Larry? Don't like the 'X' boning people, eh? Neither did gamers when Microsoft let loose their official policy guide for the DRM after everyone begged and pleaded for them not to go down that route. This maneuver stung especially hard following the incidents involving Diablo III and Simcity. Hey, remember when people used to call CB Games “Xbox fanboys”? Yeah, when we used to champion Microsoft for doing right by gamers with the Xbox 360 and how they helped indies with XNA and helped balance dev budgets by making the 360 easier to develop for? Well, those days are long gone because they not only decided to stop supporting the core community, but they took the May 21st reveal of the Xbox One to screw over every gamer by announcing industry killing policies. The “Xbone” is far less disrespectful to the engineering team than Microsoft's former policies toward its loyal customers. Blocking out gamers who don't have broadband and telling them to “stick with an Xbox 360” shows a measure of hubris and disrespect that easily supersedes a nickname. Requiring a 24-hour check-in just to access the games you paid for and then blocking users out if they fail to log-in is way more disrespectful than "Xbone". Forcing people to have to have an always-on and always-listening microphone and camera forced into the package that some political officials deemed a “surveillance device” is more disrespectful than a nickname. Restricting the option of rentals and cutting out mom and pop shops from selling used games by implementing a ratified retailer license registration program is so freaking disrespectful that I'm going to end this paragraph right here lest I write something that will get the lawyers involved. And finally, only pulling a bunch of 180s because your console got “XBONED” by the PlayStation 4 in pre-orders was the most disrespectful move by the company throughout the entire pre-console war campaign. The fact that the company completely ignored the #XboxOneNoDRM campaign headed up by Neogaf and decided to “Xbone” their loyal fan base anyway, shows just how much the company disrespects its fans. No, Larry, “Xbone” is right... it's appropriate. 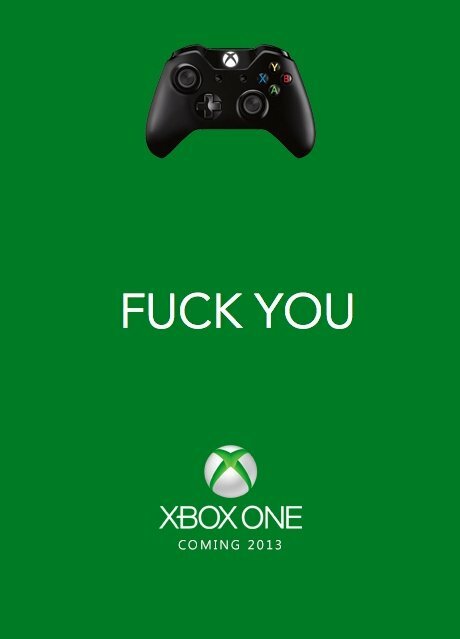 Microsoft was the one who was disrespectful to the people who made the Xbox brand what it is today. More than anything, every time someone says “Xbone” Microsoft needs to say “We're sorry”.